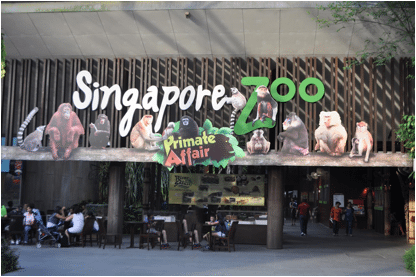 This week we look at Singapore in our Outside my Front Door series of posts by fellow travel bloggers. Our passion is luxury travel and discovering the beauty of other people, places, and food. (Oh! How we LOVE food!). Each morning as the sun peeks over the horizon and I wake for the day, I whisper a prayer of thanks. We have many wonderful things to be grateful for…health, children, grandchildren, and a wonderful marriage but one of the added blessings of our life is right outside my front door. As we step from our apartment we’re always greeted with the beauty that living on an urban, tropical island brings. 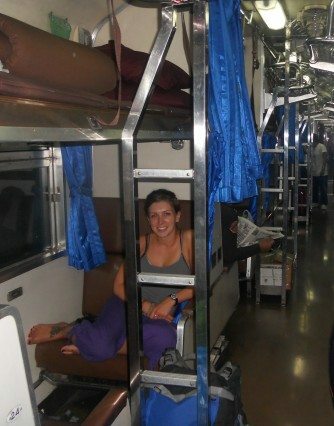 We’ve called Singapore home for the last four and a half years and couldn’t be happier that we were transferred here. Singapore is a small island with a big heart. It’s 272 square mile land mass consists of over 5 million people from all walks of life, religions, and social status that live peacefully; happily passing on their culture and traditions. 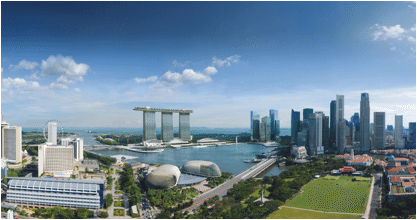 Singapore is one of those places that offer a combination of city as well as green living. It’s located just a short plane ride to some of the world’s most beautiful vacation spots and during our stay we have visited almost all of them. 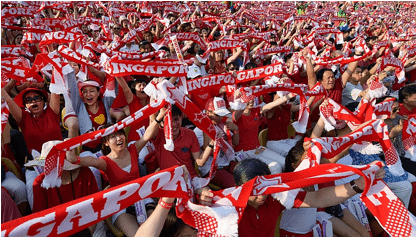 Singapore is an eclectic country whose people are made up of Chinese, Malaysian, and Indonesians with a splattering of “everyone else”. 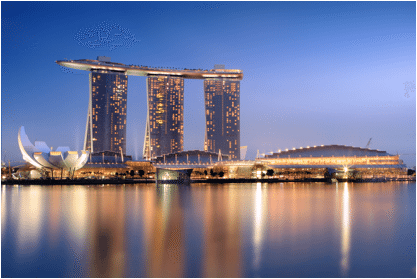 It boasts some of the world’s great architectural wonders like the Marina Bay Sands and the Gardens By the Bay, which bring in millions of tourists each year. 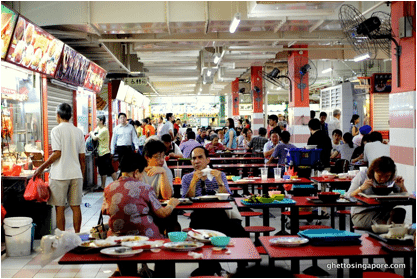 You’ll find the best traditional foods served in “Hawker Centers” the name given to open-air complexes in Singapore, Malaysia, Hong Kong and Riau Islands that house many stalls and sells a variety of inexpensive food. They are typically found near public housing estates or transport hubs, and are where fusion food was commonplace before it became such a trend and hip thing for the rest of the world. 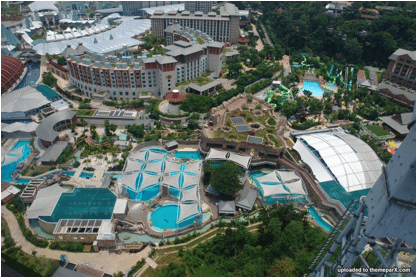 When we’re not traveling throughout South East Asia for our site, two of our favorite places to be are on Sentosa Island enjoying the various activities like Universal Studios Singapore, the Singapore Aquarium (one of the best we’ve ever been to), and the Adventures Cove water park; or the Singapore Zoo where each animal enclosure is cage free. 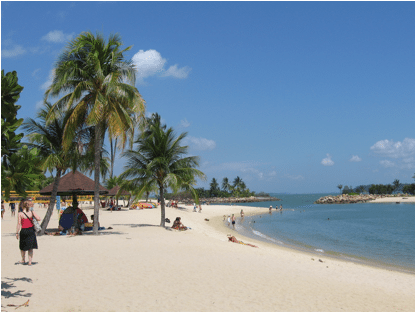 For us, Singapore is a fantastic place to live with an unending list of things to do. 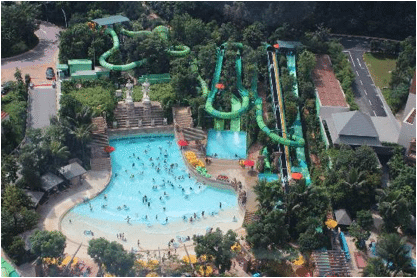 If you’re passing through or staying for a visit Singapore will quickly become one of your favorite places. Be sure to look us up, we’d be thrilled to help you experience life outside our front door! 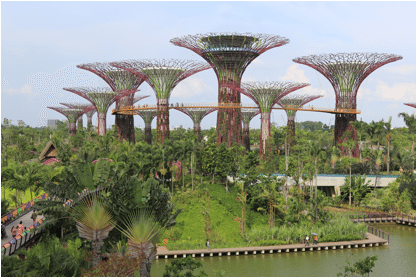 This week we looked at Singapore in our Outside my Front Door series of posts by fellow travel bloggers. Definitely lots of great things about living here. They’ve made an effort with the green space considering the density, that’s for sure. Glad to see the hawker centres get a mention! Singapore is such an eclectic place – a little bit of everything and so much to discover. Love this series of what’s outside the front door of others. Kudos!